Another director is deemed unworthy to carry the Star Wars mantle and thus has been jettisoned in a space capsule headed directly for the sun. Colin Trevorrow will be replaced by J.J. Abrams as the director and writer of Star Wars IX, Lucasfilm has announced. "Lucasfilm and Colin Trevorrow have mutually chosen to part ways on Star Wars: Episode IX," read a Lucasfilm statement. "Colin has been a wonderful collaborator throughout the development process, but we have all come to the conclusion that our visions for the project differ. We wish Colin the best and will be sharing more information about the film soon." Script problems reportedly plagued Trevorrow and 'XI' causing another headache for Lucasfilm president Kathleen Kennedy. She has had to replace other directors from Star Wars projects so Trevorrow's firing last week became inevitable when the two couldn't find a happy medium. She benched Gareth Edwards on Rogue One: A Star Wars Story and had screenwriter Tony Gilroy do rewrites and reshoots to cobble together a workable film. Chris Miller and Phil Lord were fired in the middle of production for the upcoming Young Han Solo movie and replaced with the steady veteran Ron Howard. With many directors rumored to be candidates to replace Trevorrow, including Star Wars: The Last Jedi's Rian Johnson (who's apparently, quietly keeping his head down and staying drama-free during post-production) the male white director this time would be Abrams again. 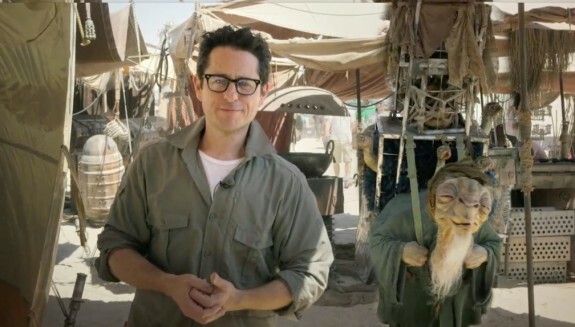 “With The Force Awakens, J.J. delivered everything we could have possibly hoped for, and I am so excited that he is coming back to close out this trilogy,” said Kennedy in a statement. Since rebooting Disney's $4 billion investment in 2015, Lucasfilm has seen too many "creative differences" with the hotshot directors they brought in to carry the torch for the beloved sci-fi franchise. Understandably, Kennedy is the gatekeeper and has exacting standards that the franchise was built on so keeping these creative directors in check has become a necessity. But why bring them in in the first place if they're given little room to innovate? With Abrams at the helm, he's a proven commodity for Lucasfilm who'll conform to their needs while having enough cache to push back when necessary. What isn't clear is Lucasfilm's continued reluctance to hire a person of color/woman as a director. They've taken "risks" with male white directors with thin resumes bypassing more established experienced diverse directors. Barring any more director firings, it'll be 11 films (5 under Disney) with strictly male white directors. In a genre that is usually more inclusive, reflective of its audience, Star Wars has always struggled with the representation of diverse women and people of color. It's an issue that has increasingly become more and more evident from one film to the next. Despite the turmoil that might accompany a Star Wars film, it makes huge box office around the world. Its brand is virtually bulletproof. Even George Lucas' prequels were blockbusters despite mixed reviews and fandom's ire about certain aspects (Jar-Jar Binks, Jake Lloyd). Disney has thus far been able to produce a decent winning product. Abrams' The Force Awakens,' while very reminiscent of 'A New Hope,' was an easy, painless, and entertaining transition to a new era of stories. 'Rogue One' came together in the end and garnered good reviews and box office. So if anyone can weather the storm and prevail it's Lucasfilm. However, its lack of representation will only become more apparent and the calls to change will only get louder. But hey, Abrams is back, right?